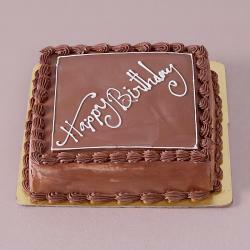 Birthday Chocolate Cake-This is a Splendid Romantic Birthday Chocolate Cake. Finger Licking Taste. The Cake Academy Large Chocolate Cake. 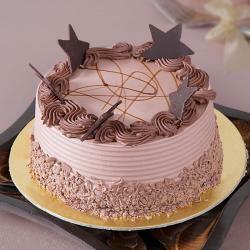 Chocolate sponge caked filled with chocolate butter cream, hand finished with dark chocolate cream speed on the cake. No celebration is complete without a cake! 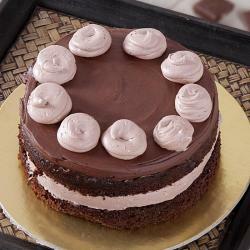 Send a yummy Chocolate cake to the one you love. 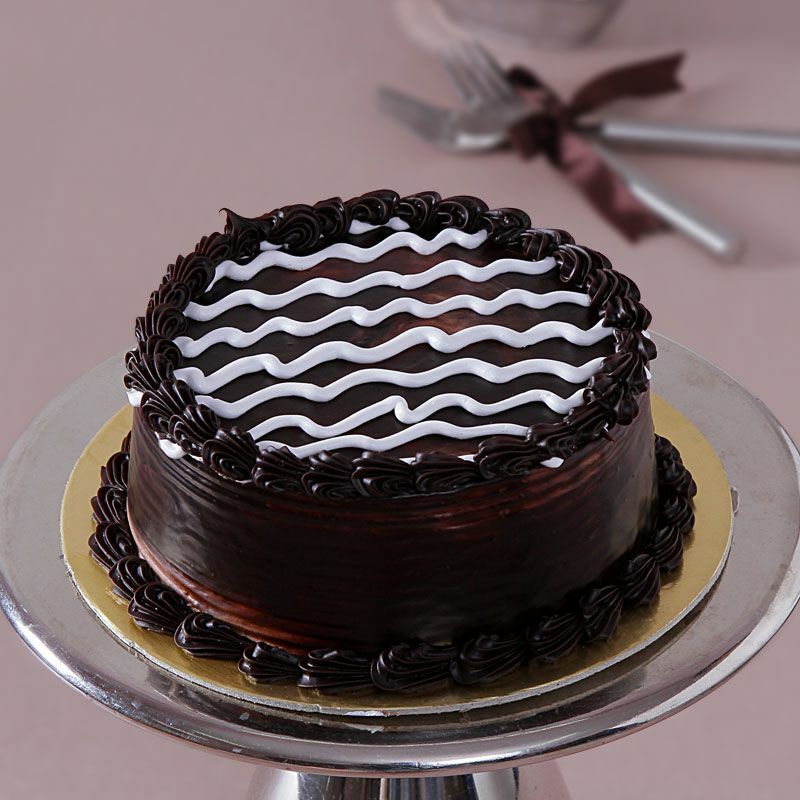 Share your feelings and celebrate their birthday/anniversary together with a freshly baked with the finest chocolates and wonderfully iced with fresh chocolate cream. Please Note: The image is indicative and there might be a little variation in the design of the delivered product. 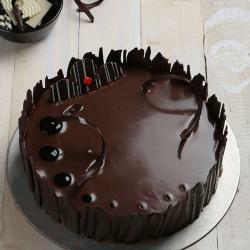 Product Consists: 1 Kg Eggless Dark Chocolate Cake.